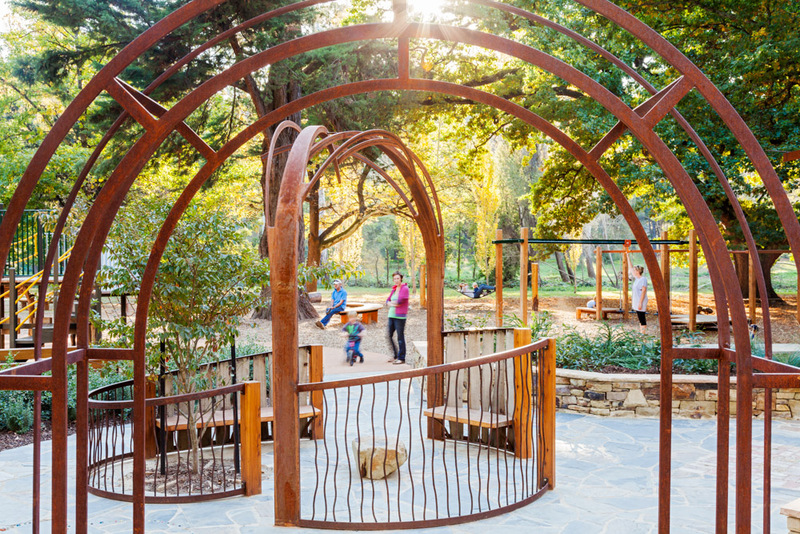 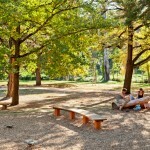 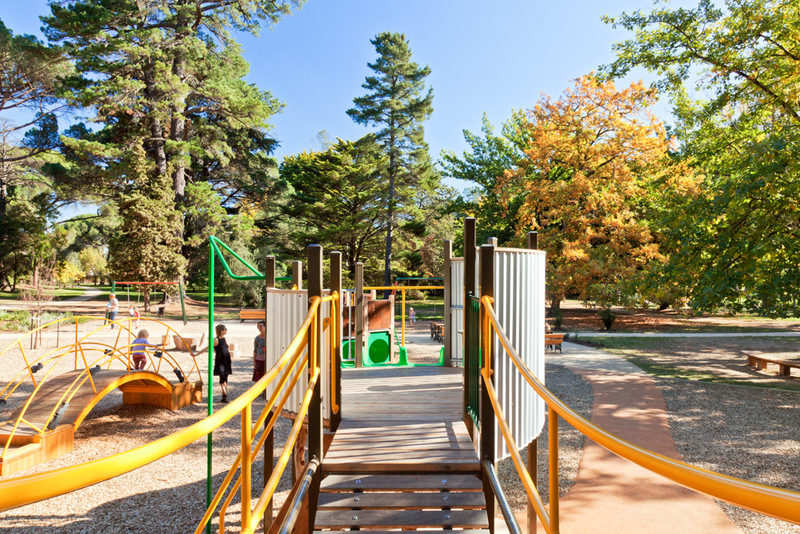 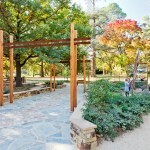 The Castlemaine Botanical Gardens playspace takes play beyond the physical and into the realm of the imagination. 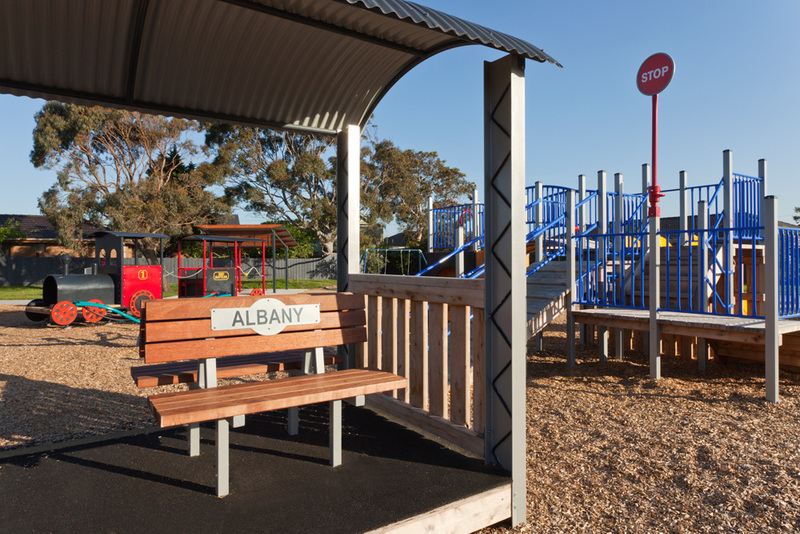 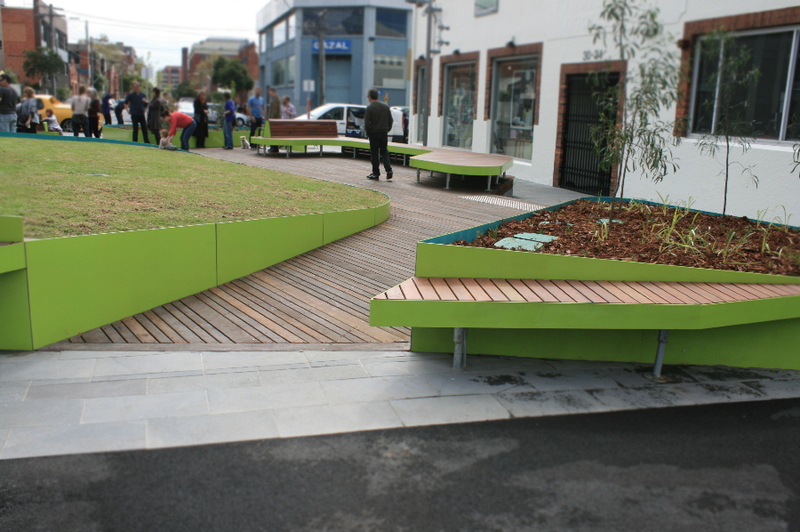 Community consultation led to the particular design of the customised playspace. 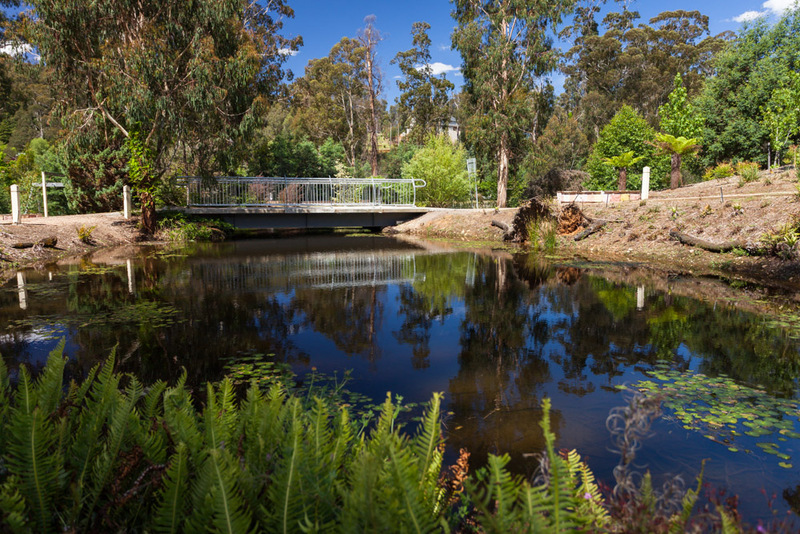 The project is informed by the area’s gold mining history and the ‘pleasure garden’ setting of the site. 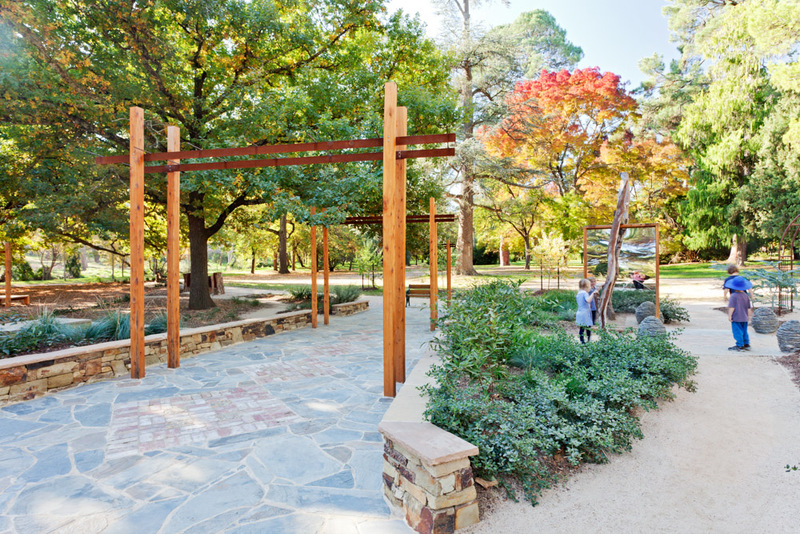 The design includes a new picnic shelter (by others) which was built to replicate the original design and orientation of a previous structure in the Gardens. 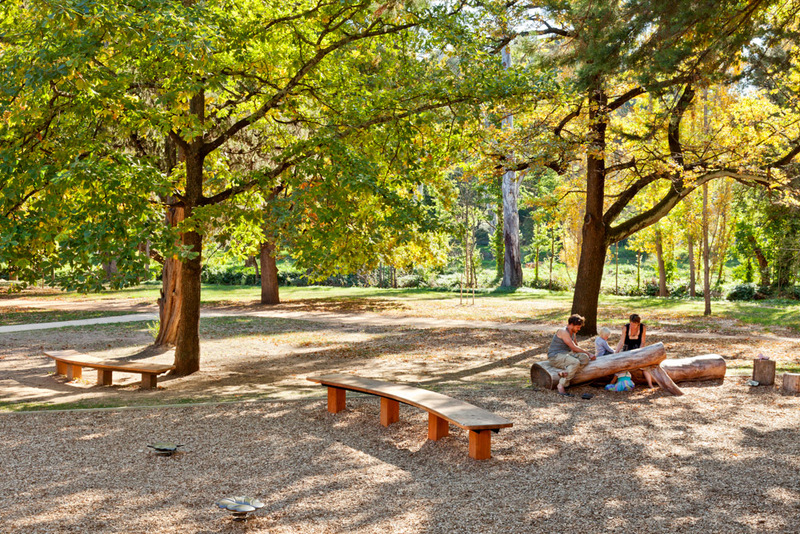 In the design local materials were used wherever possible, including logs sourced from tree lopping within the Gardens themselves. 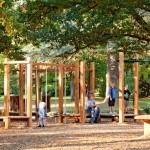 Elements of the playspace include a ‘treehouse’ area, equipment for physical play such as a hammock and a junior kids structure that features special oak leaf panels. 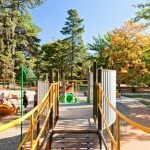 The gold mining theme is expressed through a Miner’s cottage and Log train that travels towards an arched bridge. 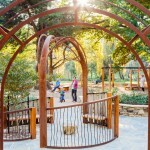 The pleasure garden area has a formal path structure, framed by an arbour designed to increase the sense of perspective, and many other artistic and sensory elements, such as a spinning mirror door. 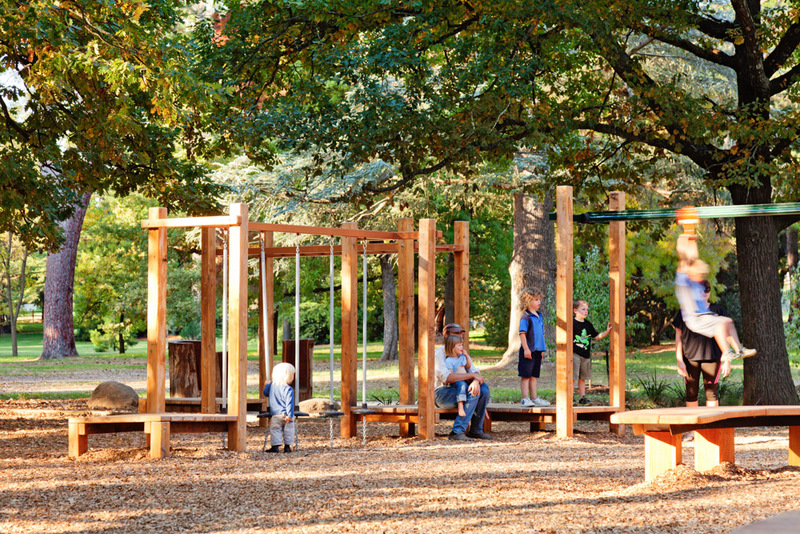 Beautiful bronze sculptures by Nicholas Dunand of leaves and acorns are scattered through the playspace, the acorns being located under the historic ‘Royal Oak’ which forms the backdrop for the playspace.